A live-action movie based on the Jonny Quest adventure cartoon has resurfaced, according to the entertainment news website The Wrap. Chris McKay, director of The Lego Batman movie, will helm the Quest project, The Wrap said. The website said it got the information from “individuals with knowledge of the project.” The Hollywood Reporter said it confirmed the news. Three years ago, there were reports that Robert Rodriguez would co-write and direct a live-action Quest film. 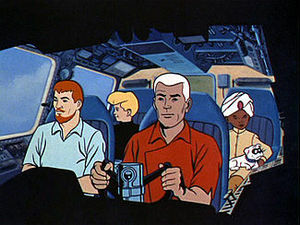 Jonny Quest debuted in 1964 on ABC. It was made by Hanna-Barbera and created by cartoonist Doug Wildey. The series featured realistically drawn characters (with the except of Jonny’s dog, Bandit), a departure for H-B. 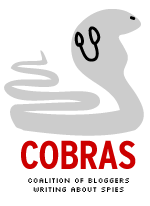 The original version only lasted one season, although there were revivals in the 1980s and 1990s. Jonny Quest was the son of widower scientist Dr. Benton Quest. They were protected by U.S. government agent Race Bannon. The group took in Hadji, a native of India. Quest was Hanna-Barbera’s answer to James Bond. Development began after producer Joseph Barbera saw Dr. No. Hanna-Barbera initially intended to adapt the radio program Jack Armstrong, the All-American Boy, but went with original characters instead. The Hanna-Barbera cartoon brand was later absorbed by Warner Bros.’s animation unit. The movie, if it goes into production, would be released by Warner Bros. In 2016, La-La Land Records released a soundtrack set of music from the 1964-65 season of Quest.